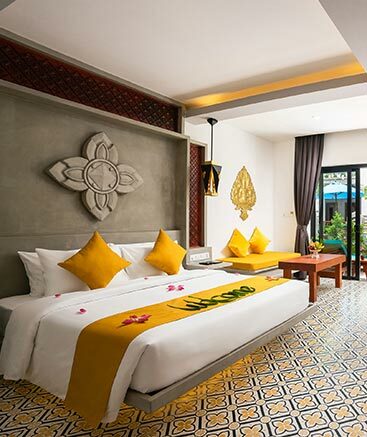 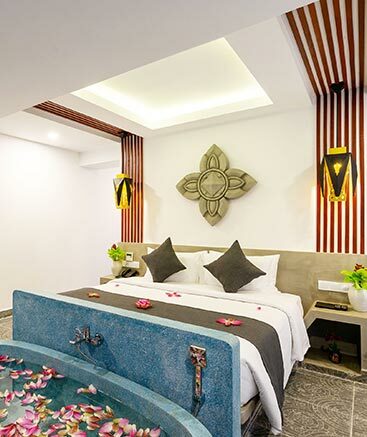 The Khmer Mansion Residence offers four room types, ranging in size from 50 sqm to 80 sqm. 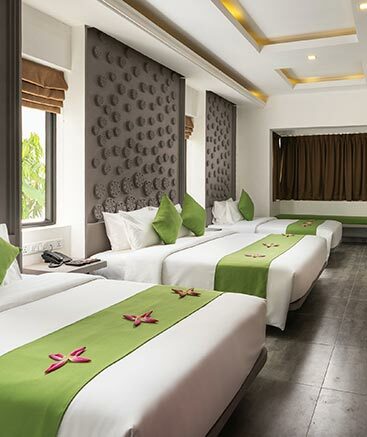 Each room and suite has a Queen and/or twin beds providing double, twin and triple configurations. 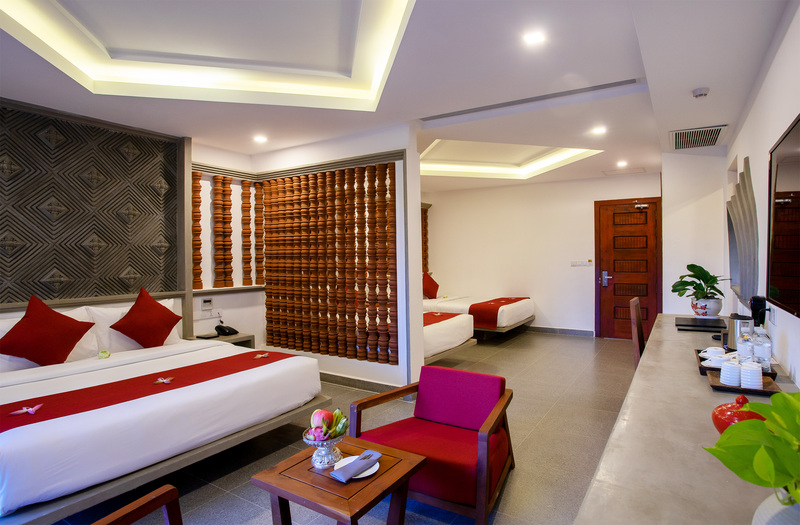 Our suites and rooms span the ground floor, and 2nd through 3rd floors, so there is something to suit every taste. 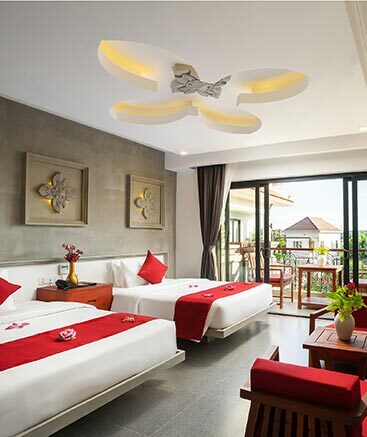 All rooms and suites and tastefully decorated in neutral grays and white.